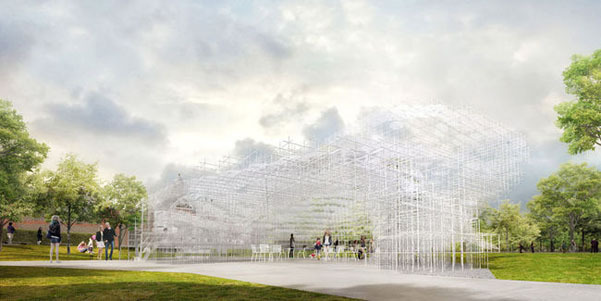 Yesterday the Serpentine Gallery announced that Sou Fugimoto has been selected to design the 2013 Serpentine Pavilion, a temporary structure open for four months starting in June. 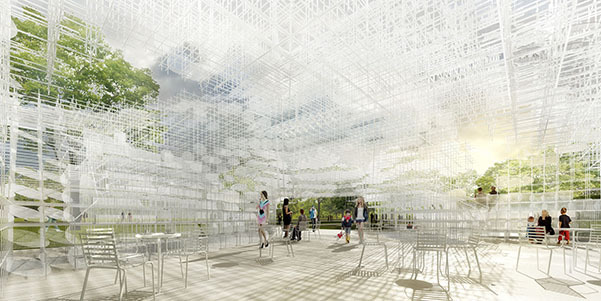 Fujimoto’s proposal, a cloud-like structure composed of 20-mm steel poles that intersect and form a delicate linear latticework to shelter a cafe and events space below, continues the architect’s exploration of transparent and organically generated forms. The pavilion also, whether Fugimoto is aware of it or not, continues a particular thread of soft and flexible architecture systems pioneered by the megastructuralists in the 1960s and in particular the works of Yona Friedman. 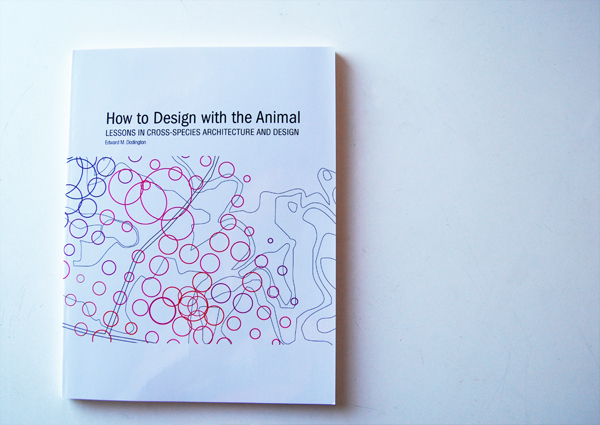 We, here at Animal Architecture have a particular affinity for large-scale, delicate lattice-structures ourselves. 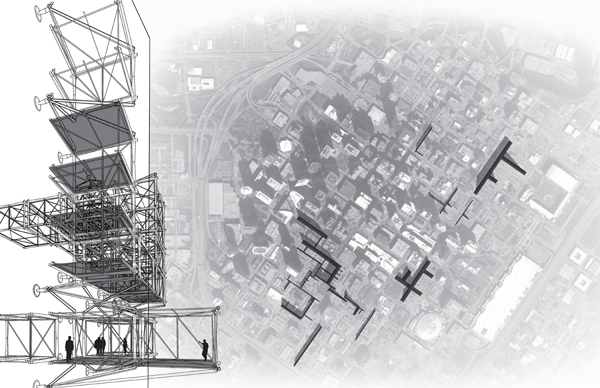 A recently published piece on soft and reslient architectural systems titled “Scaffolding City” explores just such ideas. Scaffolding City is a place where citizens hold the potential to reshape their cities and where the built landscape becomes a collectively more active, agile and soft system. 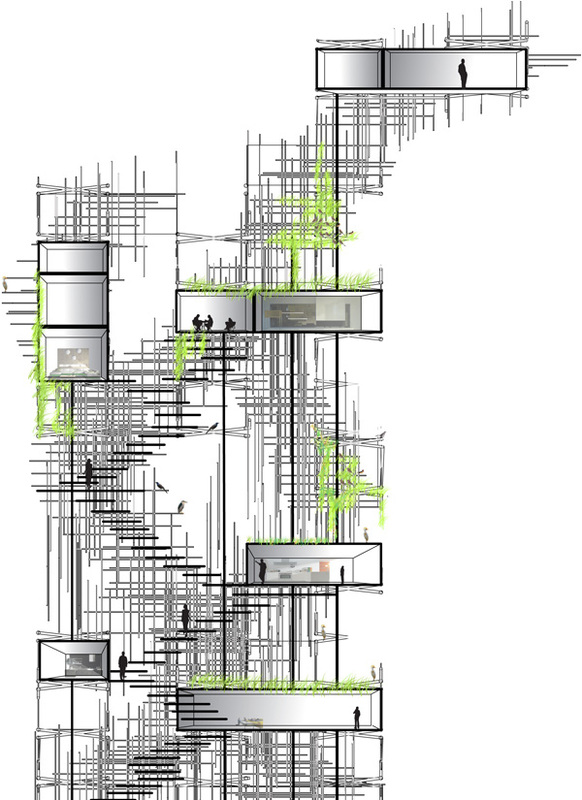 It is a radically heterogeneous city — part super-structure, part favela, part bird-nest and part tree house where many different urban animals can roost, camp, and live. It is sometimes a parasitic or a symbiotic structure, latching on to other structures or borrowing resources for a short amount of time. 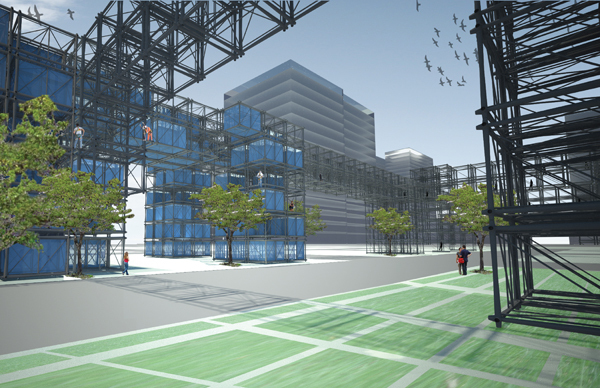 In return, Scaffolding City capitalizes under-utilized spaces and generates micro-economies of alternative resources. This city has never been seen before but might look strangely familiar. It is a city from the future past. We’re not exactly in cloud-shaped, or organically designed but, it’s encouraging to see the idea return to the public realm and in such a prominent location.